Pro Grade In-Wall speaker cables are great for Custom Installation professionals. 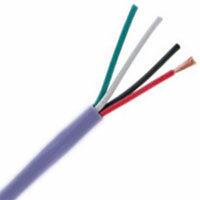 These PVC jacketed cables are UL CMR FT4 rated. Featuring high strand count oxygen free copper conductors, these cables provide great performance, and offer a small overall diameter making them ideal for pulling through conduit. These cables are packaged in industry leading pull boxes.